I give myself a pat on the back for training Kyle to eat healthy. He eats his vegetables, his share of fruits, meat and a whole lot more! But when he started school and learned to eat sweets like his classmates, from gummies to lollipops, cakes and chocolates, I knew I had to up my "snacking game"! How can I make him snack healthily while feeling fulfilled and happy at the same time? This summer, my son loves Ice Cream! We actually have tubs of ice cream as a reward system for being a good boy! But as you all know, the health-mom in me wanted him to snack healthily all throughout the day! I want to reward him something that is delicious yet healthy! So I leaned on to yogurt as an option! Yogurt, that wonder-cousin to ice cream and cheese. Yogurt is a mixture of milk fermented by bacterial cultures that produce lactic acid. It comes in varieties like low-fat, fat-free, Greek, or Icelandic style and more. It contains many of the same nutrients as milk, only in different amounts depending on the type and sometimes, the brand of yogurt. One serving contains many essential nutrients like protein, calcium and phosphorus to help build and maintain strong bones and teeth. Zinc boosts the immune system, making you less susceptible to colds. Riboflavin and panthothenic acid also help the body with metabolism. Yogurt also has vitamin B12 to keep the nervous system healthy and blood functions normal. As much as I enjoy Yogurt on its' own, plain and unflavored, I need to whip something tastier and somewhat ice cream-like for my son to think of them as "treats". Here's a simple recipe I did that won the heart of my son, I call them my "Strawberry Yogurt Cups"! In a small bowl, mash the Real California Milk Blue Isle Greek Yogurt in Honey to "loosen up" texture. Add strawberry jam and mash everything together. As for me, I prefer to have strawberry chunks so I did not mash everything well. I like the texture, so does my son! Divide the strawberry yogurt mixture and fill it in paper cups. Top each cup with strawberries or you can even use other fruit like sliced bananas or mangoes. As much as I enjoyed Strawberry Yogurt Cups as much as my son, I can't seem to get a cup myself as instead of eating them as afternoon snacks, it turned out to be his dessert after every meal! Thank goodness it is healthy I don't mind considering it an all-day snack treats! So the mommy, who loves yogurt created my own Yogurt Parfait! 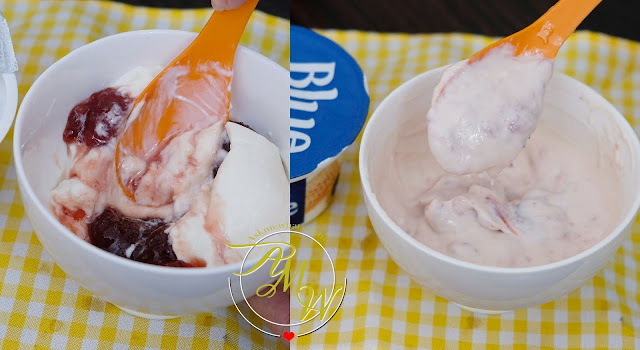 Layer ingredients, start with a layer of Real California Milk Yogurt in Blueberry, top with a layer of banana slices and another of yogurt layer again. Add walnuts, as much as you want! Repeat steps until you fill up the cup/mug. Cover with a plastic wrap and refrigerate. Snack and enjoy anytime of the day! I find this to be a healthy option for me to enjoy breakfast in the morning especially since I'm always rushing! I just grab this from the fridge, grab a spoon and I'm ready to go! 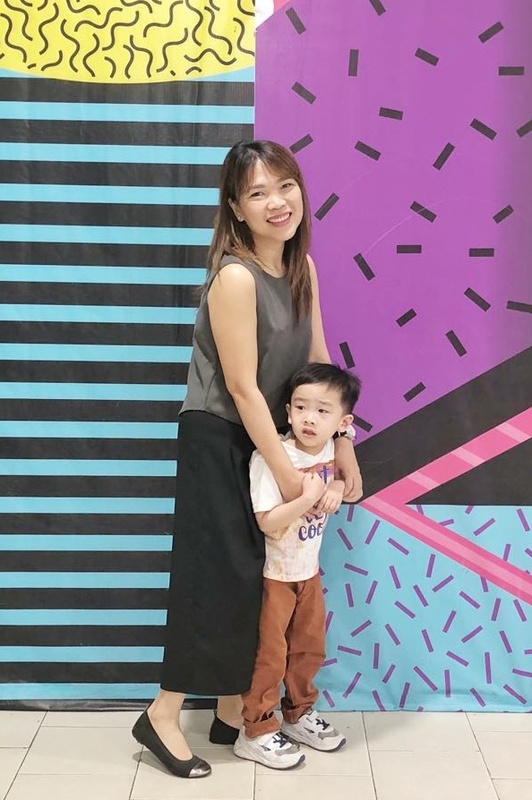 As a very busy and on-the-go mom, I am glad there are products that will help me in making easy yet delicious recipes to keep my growing and active boy healthy and strong! When purchasing dairy products, look for foods made with 100% real California milk that feature the Real California Milk Seal. 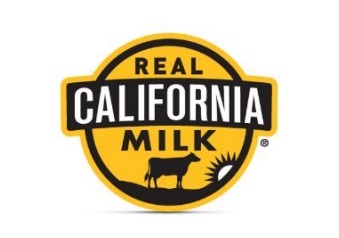 To know more about great dairy products, check out www.RealCaliforniaMilk.com or Like them on Facebook. Do you serve yogurt as an alternative healthy snack for you and your family? This is a sponsored post by Real California Milk, but the photos, recipes and opinions are my own. bit from ext time? Thank you for the post. California milk is staple in our office fridge my boss just love it and she shares it with us. Thanks for some other excellent article. The place else could anyone get that kind of information in such an ideal method of writing? such unique about my problem. You're wonderful! Thanks! I am extremely impressed together with your writing talents as well as with the structure on your weblog.